Dayton is Doug’s hometown. 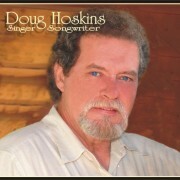 He is an award winning songwriter and vocalist currently living in Nashville. You’ll love his style of country music. Stay tuned for more about this “new find” to DDR!